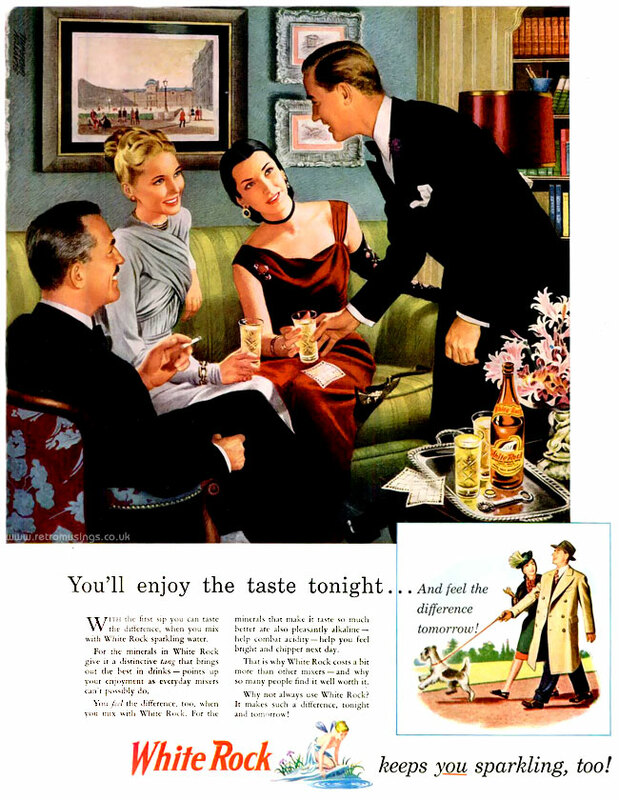 These illustrated ads for White Rock sparkling water date from 1946-48, with artwork by John Holmgren. Each ad featured the (very) scantily clad character of Psyche getting on wives nerves and over exciting the menfolk before calming them all down with a drink. 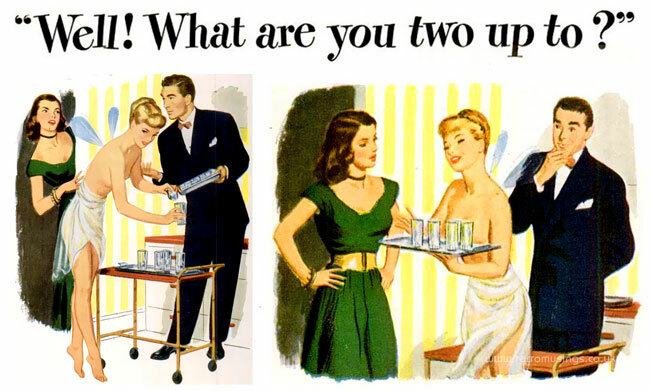 These three illustrated ads for White Rock sparkling water date from 1946. They were illustrated by Slayton Underhill and Edwin Dahlberg.